Brenden Fletcher and Annie Wu’s 2015 Black Canary is, beyond much doubt, the strangest version of Dinah Drake you’re ever likely to read. But don’t take that as indicating that it’s bad, or uninteresting. It is neither – especially not the latter. Instead of the crime-fighter readers are familiar with, we get a Dinah (or ‘D.D.’) with a military and black ops background, who is now the lead singer of a riot grrl/punk band called, inevitably, Black Canary. The story follows the band on tour, pursued by shape-changing aliens, and the military, in the person of Dinah’s partially amnesiac ex-husband. Gigs almost always end in violence, whether a fight with bar louts hassling women or aliens trying to kidnap one of the band’s members. It’s all very odd. 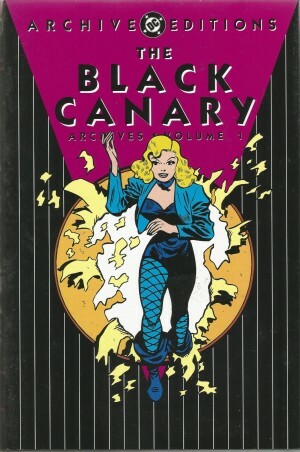 It’s in DC’s main continuity, yet no-one seems aware there ever was a superhero called Black Canary – the story feels like an Elseworld. Comprehension is not helped by Fletcher’s tendency to have important plot developments and exposition happen between chapters, leading the reader to feel that they’ve missed something. As a result, the story, which starts off very strongly, does not fully deliver on its promise. On the other hand, Fletcher’s characterisation is good. The other members of Black Canary’s band are evidently queer in one respect or another, but this is treated in a matter-of-fact fashion – the individual’s queerness is never the most important thing about them. Dinah herself isn’t quite sure why she’s here and what’s going on, but she’s endearing in her pursuit of what turns out to be a satisfyingly science-fictional resolution. 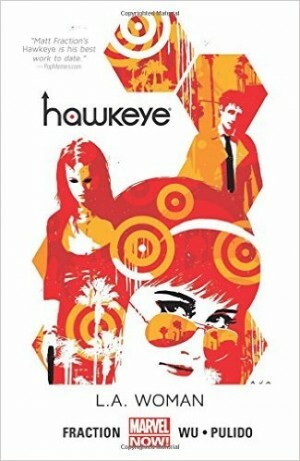 Annie Wu draws with a loose, scratchy style some way removed from her work on Hawkeye, and all the better for that. 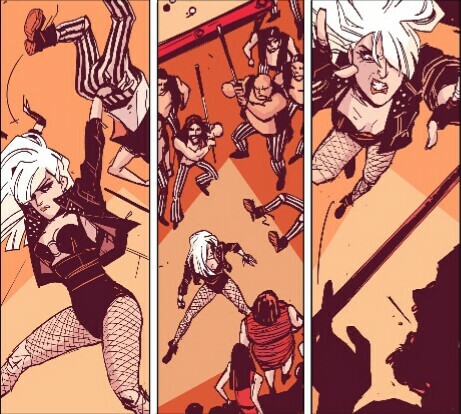 There’s a lot of Bill Sienkiewicz in her action sequences, and Black Canary’s trademark jacket and fishnets costume is turned into a look, one appropriate for a punk rocker. There’s some fill-in art for a couple of chapters from Pia Guerra, with a few pages by Sandy Jarrell. Both maintain the 1990s/2000s indie comic aesthetic that Wu brings, and fit the material well, though in different ways. 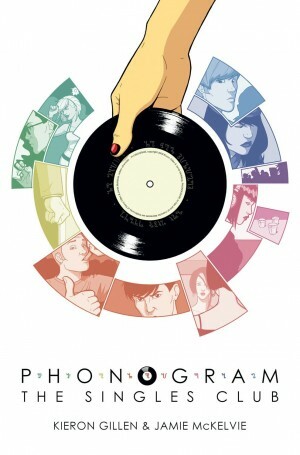 Guerra is more interested in figures, and has a style reminiscent of Daniel Clowes. Jarrell’s pages were apparently done at speed, and look it – they’re a long way from the smoother work he provided for DC Comics Bombshells, but there’s a raw energy that sits well alongside Wu. Lee Loughridge delivers first-class colouring, all about using colour washes and the palette to create mood and effect rather than realism – few panels are coloured conventionally. 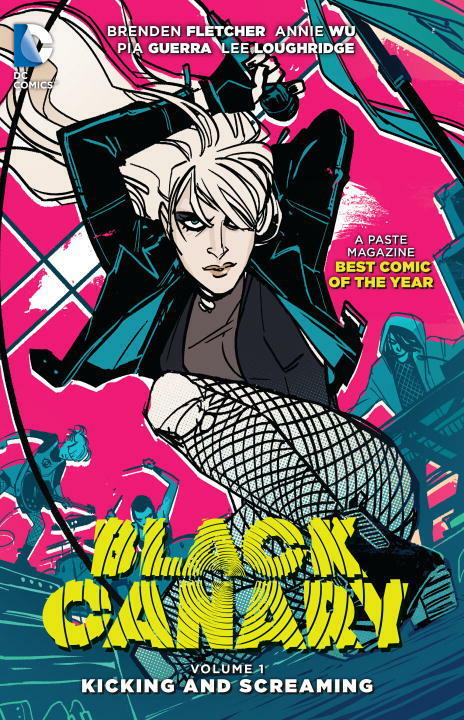 Some will probably not like Kicking and Screaming as it’s far removed from the Black Canary they know and love, but open-minded readers should give this a try. 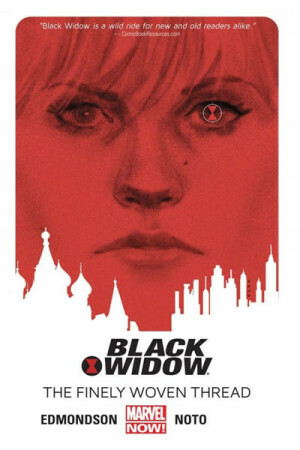 At a time when most writers’ ‘radical’ attempts to do something different with seventy-year old characters end up being stupid, it is pleasant to read a comic in which ambition and an off-the-wall approach are actually blended with mostly effective storytelling. Like many a punk band, Kicking and Screaming has raw edges, and isn’t perfect all the time by any means, but there’s excitement here that is worth checking out, even if it never quite delivers on its potential.